Born in Barcelona, the son of a cabinet-maker from Majorca, Gelabert was a photographer and mechanic who paid an early visit to the first Lumière screenings in Spain in 1896 and eagerly constructed his own camera (the following year) on lines similar to the Cinématographe. His first effort, written, directed and starring himself, was a fiction film Riña de Café made in Barcelona in August 1897, followed up in 1898 by Dorotea. However most of his output was local actualities such as Salida del público de la iglesia parroquial de Sans (1897) and Salida de los trabajadores de 'La España Industrial' (1897). His first news film, Visita de Doña Maria Cristina y Don Alfonso XIII a Barcelona, was shot in 1898 and subsequently sold to Pathé. 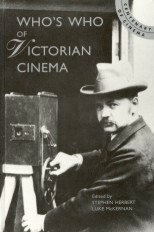 Gelabert, who now established his name as a producer of Spanish actuality and news film, continued as a jack-of-all-trades filmmaker for the next twenty years. 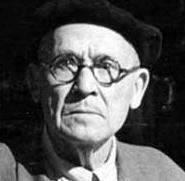 Among his rather humdrum efforts, typical of the early Spanish cinema before a revival in the 20s, was a succession of literary and dramatic adaptations. He developed several film devices, established laboratories and small studios, and made his final film, La puntaire, in 1928.